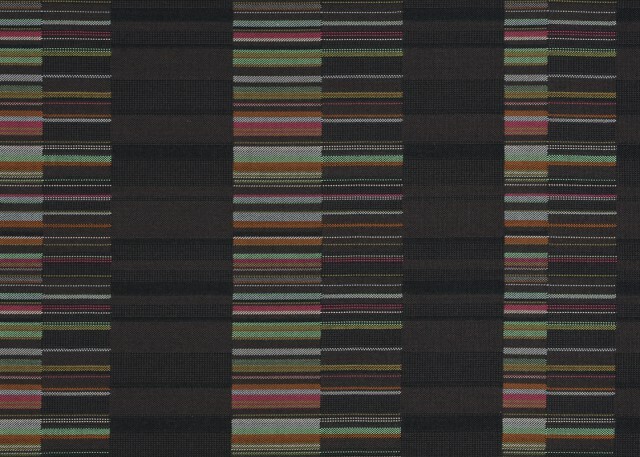 Colorfield adds color, texture and movement to the conceptual framework of Hours, which was designed by Jongeriuslab in 2011. 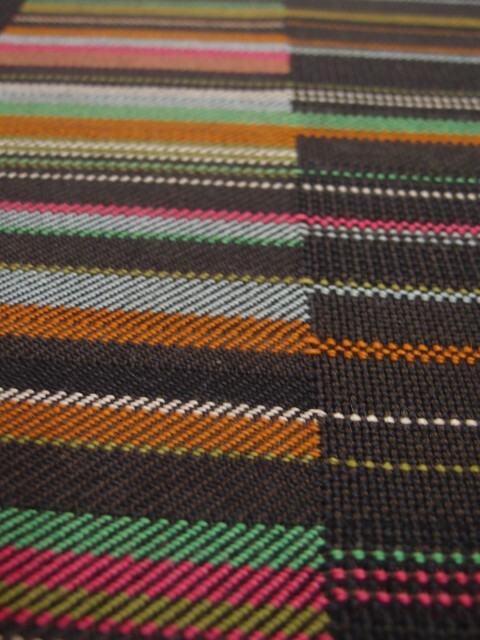 The design combines multiple weave structures in a highly tactile surface, creating various textures and colour blocks. 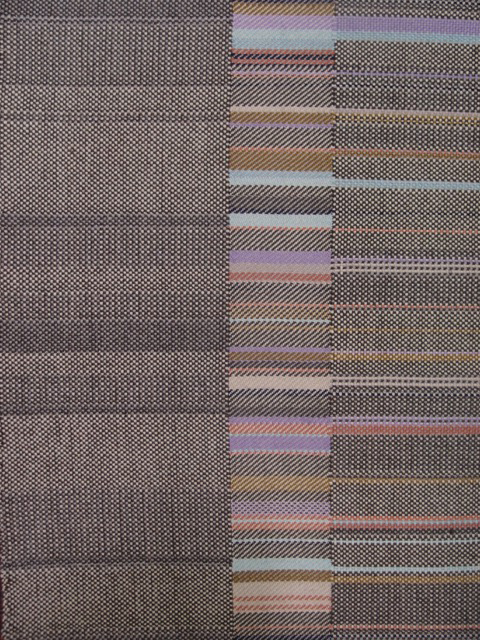 A grid made of two colours dissolves into a patch of diagonal twill and then transitions to an expanse of solid basket weave. 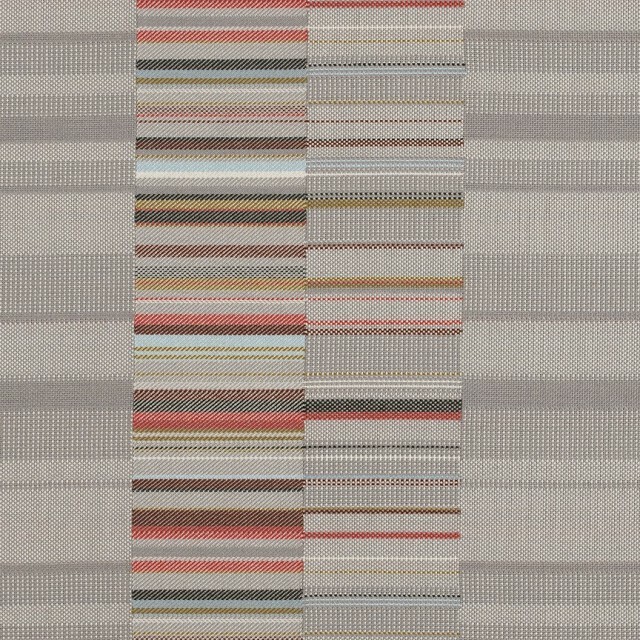 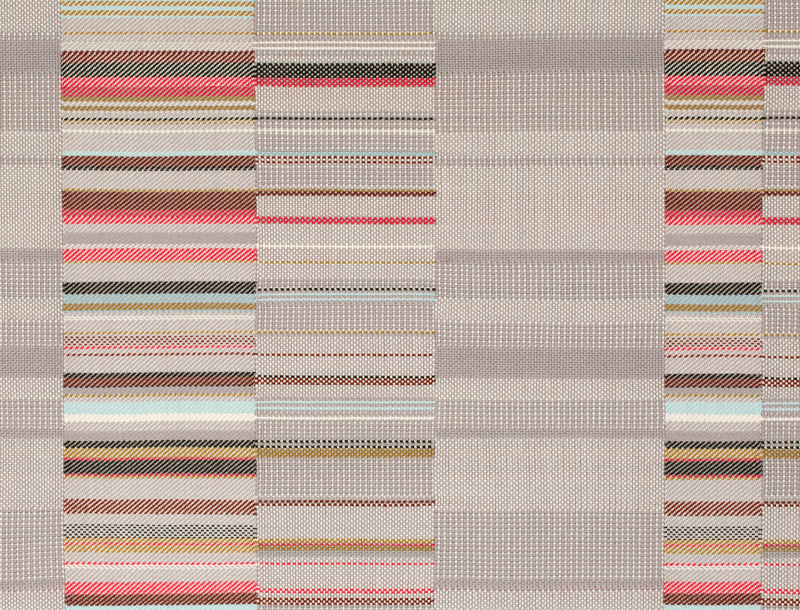 Contrasted by stacked bands of colour, broad columns of neutral texture set the various rhythms into motion.